The Android app is currently meant to be used in conjunction with the SMARTER eVCS webapp but hopefully I’ll get time to upgrade both the Android app the make it a standalone app. Also once again, anybody interested in helping in this community development project, do get in contact or just get the code, make some changes and submit pull requests. While you may think that this is a trivial matter, it really rises as a problem when I look for tram stops and street names here in Melbourne. 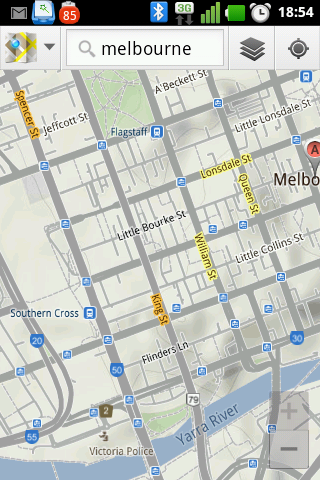 Take a look at the CBD of Melbourne in the screenshot below and see how problematic this is: I can’t see the names of the smaller streets and I have to tap each tram stop in order to see the stop name. 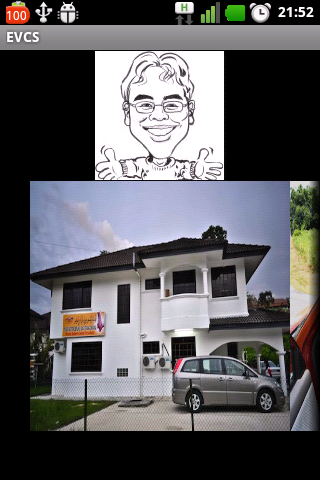 To rub salt into the wound, apps that use a map view can zoom in further than the Google Maps application! Below are screenshots via the Domain.com.au app. I’ve tried to search for a reason for this discrepancy and have yet to find one. The map settings are both the same in the tablet and phone. CPU and RAM-wise, both devices are comparable: 600MHz each with about 420MB of RAM. Both devices are rooted with my Optimus One running the official Android 2.3.3 ROM from LG and the tablet running Android 2.3.7 via CyanogenMod. The only other difference would be screen size and resolution: 7″ 800 x 480 screen on the tablet and 3.2″ 480 x 320 screen on the phone. Anybody who has a clue what’s going on, do let me know. Any help would be well appreciated. 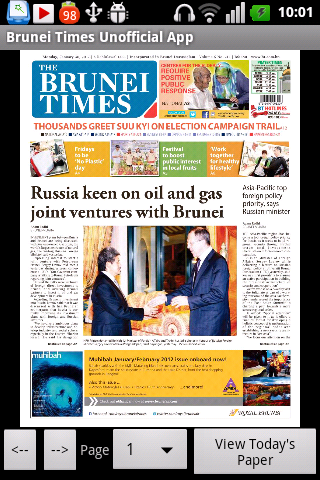 After hearing that the Brunei Times introduced their iPad app and discovering that there is a mobile e-paper for iOS devices that served regular jpg files, I thought it would be great to have an Android app to do something similar to the iPad app. As mentioned in our episode of Corner Geeks 8: The Brunei Apple App Store, the video below documents how to create a Brunei account without a credit card. not all apps seem available (e.g. WhatsApp) but most seem there. I still think getting a US iTunes Account is still the best option as it is completely unrestricted. 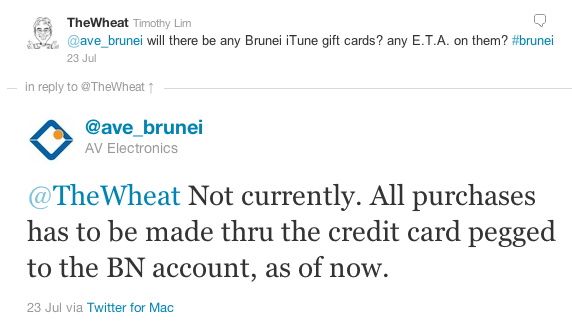 You can create a US account without a credit card, using the same method above but select US instead of Brunei. You will need to buy gift cards online though, and I have bought iTune gift cards from both PC Game Supply and Jerry Cards with good results so thus far. See which works best for you and join the ecosystem that has yet to be rivaled (especially outside the US). A ‘live’ / non-Skype Corner Geeks recording this week as I sat down with @mfirdaus as we discussed the Brunei Apple App Store while also passing him the InstallESD.dmg file for Lion. We hope that this is the start of more services being opened to Brunei and perhaps a legal way for people to get music, movies and TV shows in the future. 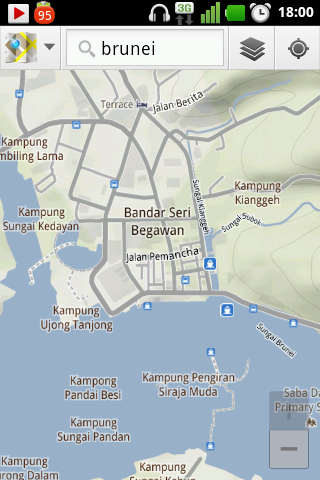 Apple brings the iOS and Mac App Store to 33 new territories, including Brunei! Ever have trouble setting up APN settings (or just being too lazy to type in all the configurations) for your Android device, especially for MMS? 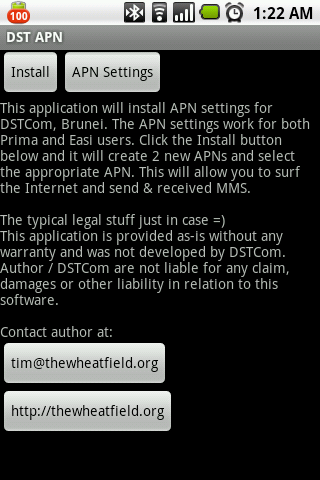 The DST APN app will help you out. Just install it, click a button and your APN settings are set and you should be able to surf via the mobile network as well as receive MMS’s.